South Africa & Overberg News Events, things to do and see. South Africa & Overberg News ~ A warm Hello to our beloved 23 500 subscribers and thousands of new and frequent web visitors. We hope to inspire our readers to know more about South Africa & Overberg News and what is Hip, Hot and Happening. Whether you are searching for meaning, fun or facts, you are bound to find something that tickles your fancy among all the events, good reads and links we eagerly research and write about for you. The best Benoni export ever – actress Charlize Theron is a wonderful ambassadress for South Africa and Afrikaans. She once again made the nation proud by earning her latest Oscar for best actress in the brilliant Mad Max: Fury Road. Charlize accepted the Oscar in a fiery red Dior gown which also earned her yet another Best Dressed accolade. Charlize is currently preparing to open The Huntsman: Winter’s War and the Cannes-bound Sean Penn-directed The Last Face, she is in the early stages to re-team with director Jason Reitman and screenwriter Diablo Cody. They made Young Adult in 2011, and now they are early stage talks to team again in Cody’s latest script that Reitman will direct, which doesn’t have a title. All we know is it’s about motherhood. Charlize Theron has officially joined the cast “Fast 8,” the next installment in Universal’s long-running “Fast and Furious” franchise. 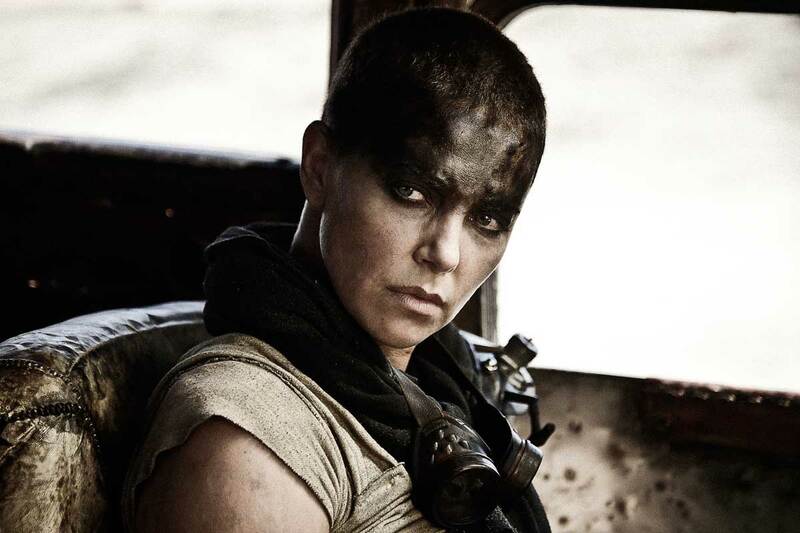 View a list of Charlize Theron’s awards and nominations here. Visit a Country Market! It is lovely to find the Hermanus Country Market and the Stanford Sunset Market high on this list. 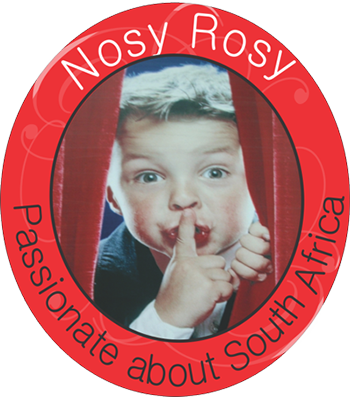 Nosy Rosy had the honour and pleasure of being invited to Ormonde Private Cellars in Darling – Please click here to read our wine tasting story. Read our recent Restaurant reviews: Lunchtime experience at Wildekrans Open Dining and The Botrivier Hotel Experience. More than 16 years ago John Platter came into the South African Wine World with a bang. He is still as relevant, charming and opinionated today as he was then – and we love it! Please click on the link to read about his latest book. The return of John Platter – My kind of wine. The Cape Town’s Official Tourism website suggests 50 reasons why Cape Town can be good for your health. Among the interesting things to do you will find the Cape Camino: The route embraces the city of Cape Town in the north, Cape Point in the south and crosses over at Constantia Nek. It is divided into 7 legs of about 20 km each, for ease of digestion and understanding. Also read – Give your Muscles the pump they deserve! Landscape architecture and horticulture have played monumental roles in the history and habits of peoples’ lives throughout all ages. It still is where science, art and necessity meet. From cultivating food to creating spaces where special moments can be celebrated or a book can be read in tranquility, it is essential for our physical and psychological wellbeing. Look at the tranquil and beautiful spaces created by CHB Landscaping. See what is on at the Cape Town International Convention Centre. Additional performances added – now booking to 19 March. David Kramer, who together with his partner the late Taliep Petersen created the hugely successful musicals – District Six, Fairyland and Kat and the Kings, will celebrate the vibrant musical culture that was to be found in the streets, halls, hotels, clubs and bioscopes of 1960’s District Six. This musical tribute, presented by Eric Abraham and the Fugard Theatre, marks the 50th anniversary of the destruction of District Six. Von Geusau Chocolates is delighted to announce that their range of artisanal chocolates now includes a sublime, sugar free, chocolate slab. Available in both milk and dark chocolate, our sugar free range uses the finest quality Belgian chocolate, distinguished by its high cocoa percentage, and absence of artificial flavours and vegetable fats. A natural sweetener, Maltitol, a reduced calorie, reduced carbohydrate sweetener that has 80% the sweetness of sugar, is used to ensure all the sweetness remains without the calories. Hermanus Country Market Every Saturday morning at the Hermanus cricket club. 9am to 13pm. Look at the Smoke House & Activities on The AShack. RIGHT TO READ CAMPAIGN – Book donations needed please. 50 donated books have been giving to each of two Grade R classes, but there are 43 more waiting in line. The end of February is the cut-off date and we still need a minimum of 600 more books. Please help us fill an aching gap in the lives of many hundreds of our own young children of the ‪#‎Overstrand‬. Donations can be made to the Enlighten Education Trust bank account at Standard Bank Hermanus (Branch Code 050-312); Account Number: 082251878; reference Right to Read and your name. Or you can drop off cash or books at Enlighten, for the attention of Elmine or Elaine. Tel 028 313 0974. Please read the latest newsletter & Donations welcome. Look at the new website, lovingly designed by Webwits & sponsored by Nosy Rosy. Please support the new Butterfly Centre – Special needs schools and therapy centre in Stanford. Please help our NSRI Heroes to help us. A seven-day journey by four women through a surreal desert landscape yields awe-inspiring sights, and hard-won lessons (know how to change a flat). Introducing some of my favourite #Travel bloggers.